In March of last year, fellow author Mark Young visited here to tell us why he e-published. Now he's back to tell us about his experiences, and give us a preview of his next e-book, Off The Grid. RM: Mark, it’s been almost a year now since you decided to launch out with an e-published book, Revenge. At the time, there seemed to be a bit of prejudice in the writing community against authors who were short-cutting the traditional process and going directly to electronic publishing. Do you think that’s changed now? MY: First, thanks for having me back to your blog, Richard. I know it is a risk rubbing shoulders with indie authors like myself since I hear we might be considers usurpers by the publishing industry. Seriously, though, it is always a pleasure to meet and interact with your readers. Regarding your question about prejudice and “short-cutting the traditional process,” I think there will always be a certain amount of prejudice lurking out there in the writing community. But I believe attitudes are changing, among many readers and authors—if not from traditional publishers. However, with this freedom of indie publishing comes a responsibility to make the novel as professional as any of those released by major publishers. Authors need to be prepared to pay the cost for solid editing services, as well as formatting and design expenses, while continuing to push themselves to develop their writing craft. RM: Is your novel only available in e-Book format? MY: Actually, my novels are published in both digital and print formats. Since my primary market is eBook sales, I have reversed the publishing order by releasing eBooks before the print books. I hope to have this publishing process fine tuned someday where I simultaneously release eBook, print books, and possibly other formats. Revenge, my first novel, is available in both digital and print format. 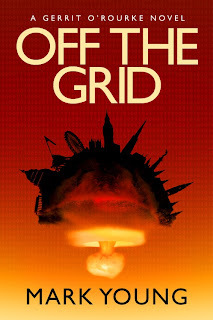 Off the Grid, released last December 20th in digital format, will be in print version in about a month. A majority of my readers are acclimated to the eReader, with only a few waiting until the print comes out. RM: You admitted in that previous post that you had a lot to learn about e-publishing. What are some of the lessons you’ve learned and the things you wish you had done differently? MY: The eBook publishing industry is constantly changing. I’ve learned that a writer must constantly change with it, particularly those of us who have chosen to follow an indie publishing path. Authors who have had the opportunity to follow a traditional publishing path can rely on in-house sources for marketing, pricing, advertising and sales distribution. Indies must do it all, or pay someone to provide these services. In that vein, I’ve made a few mistakes along the way. For example, getting a completed eBook into the hands of reviewers before the release date has been challenging. I am still working on this process, though I feel at this point it is more important to get my next novel finished and available to readers as quickly as possible, and then work on getting reviewers interested in reading and commenting on this work as time allows. RM: You worked with an independent editor on this book. How do you think that influenced you as a writer of fiction? What would you tell other writers who are considering using an editor? MY: My opinion is that working with a good editor makes all the difference in the world. Editors are able to take an objective view of your work, suggest ways to make the novel cleaner and crisper, and catch things that may have slipped your attention. I had the privilege of working with freelance editor Julee Schwarzburg on my latest novel. It was a real delight to have someone of her caliber work alongside me to raise my novel to the next level. RM: Tell us a bit about Off the Grid. MY: Murders, bombings and a cryptic message force police detective Gerrit O’Rourke to live Off the Grid for his own survival. At stake—the security of the United States. Gerrit joined the Seattle police department seven years ago after his parents were killed in a car bomb in that city. The case is still open. The killers still at large. Mysteriously recruited to retrieve information vital to the U.S. interests, Gerrit discovers the murdered body of a scientist in a Vienna, Austria apartment. This discovery—coupled with an intercepted message about a mysterious operation called Project Megiddo—hurls Gerrit into an international conspiracy that forever changes his world. Facing overwhelming odds, Gerrit and his small band of fighters move within the shadows of a global conflict in which trust becomes a matter of life and death for his team. Gerrit’s past as a former combat U.S. Marine and his special scientific skills are matched up against opponents whose resources seem unlimited. Advanced technologies are the tools; global supremacy the goal. Gerrit must learn to fight and survive in an Orwellian future that begins today. RM: I notice a change in your blog title and format. Can you explain that to my readers? MY: I lost my mind and created two blogs. My first blog, titled Hook’em& Book’em “where mystery readers, writers and law enforcement connect” began two years ago, will continue to be a place where readers can interact with mystery writers, cops and those in the publishing industry. Last month, I began a new blog titled “Mark Young:Arresting fiction…one character at a time.” This new blog will be written in a more personal, intimate manner for those who enjoy my novels. For example, my first article last month was titled “What A U.S. Marine Taught My Daughter About Life,” concerning an encounter we had at a local fair, and how it dovetailed with my new novel Off the Grid. I changed the look of Hook’em & Book’em and updated the design template. The Mark Young: Arresting fiction…is fresh out of the box. RM: And what’s next for Mark Young? MY: Once my computer gets back from a repair shop hidden somewhere in New Jersey, I’ll begin firming up the OTG sequel, The Daemon Files, which is scheduled for release later this year. 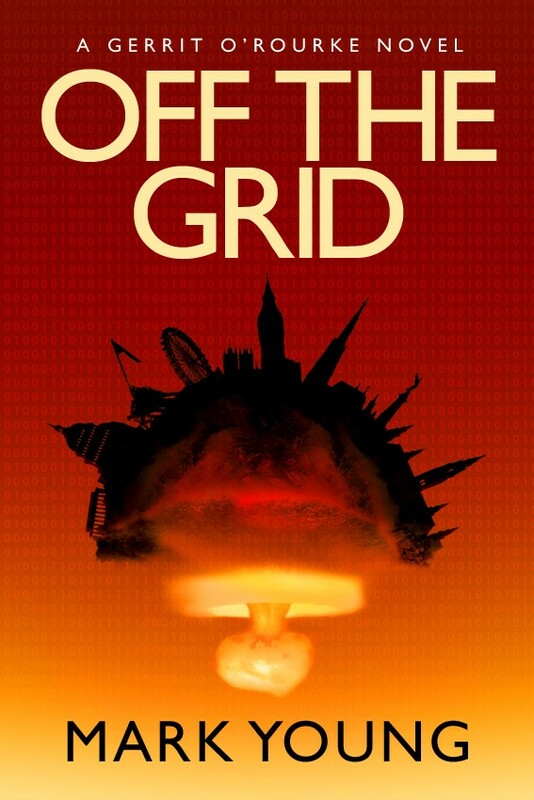 The technology war waged in OTG continues in this sequel as Gerrit and his team try to stay alive long enough to identity the enemy as they watch the future of mankind unfold. After that, I plan on releasing the first of a new series, titled Broken Allegiance: A Tom Kagan Novel, about a California homicide detective thrown into the middle of gang war. It is loosely based upon my experiences working with other cops as we investigated criminal street gangs and prison gangs throughout the U.S.
Mark, thanks for being with us. We'll be watching closely as you continue your journey into the world of e-publishing. Kay and I often prefer watching movies on DVD, rather than at the movies. We're willing to wait for the buzz to die down and enjoy the entertainment in the comfort of our home. Besides, if we don't like the movie, I just eject the disk and we move on. It costs less than a box of popcorn, and when the movie's over, we're already home. The problem we've encountered is the same one we would have if we were choosing to go to a movie house. Which movies should we see? There have been so many instances when critics have said a movie was "must see," yet I've known after fifteen minutes that my money has been wasted. On the other hand, we've absolutely loved some movies that critics roundly panned. Recommendations from friends and family? Same thing. The fact is that tastes differ. Of course, this isn't just true of movies. It holds true of plays, music, books, clothes, and so many other things. We make choices based on our personal preferences, but those are influenced by others. And that brings me to the question of the day: who influences you in choosing a book? What makes you pick a book off the shelf at your favorite local bookstore and shell out your money for it at the cash register? If your tastes run to ebooks, what influences you to click that button that costs you anything from a small amount to a significant one to purchase the book? Do recommendations from others help, or do you prefer to make up your own mind? Bring it on. I'd like to hear what you have to say on the subject. Thanks for participating. Previews of coming attractions: Next week I'll have an interview with fellow author Mark Young, who has self-published two books, followed by a guest post in which Mark explains why he chose the self-publishing route. 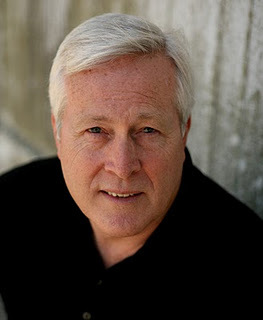 The week after that, I'll review the latest book from New York Times best-selling author of medical suspense, Michael Palmer, and share an interview. Hope you'll come back for it all. I read widely in the field of mystery, suspense, and thrillers. That's probably why I write what I do. Among my favorite writers are those creating in the noir genre--Lawrence Block, Donald Westlake, and the recent work of James Scott Bell. I recently acquired a copy of Westlake's last novel featuring his anti-hero, Parker. I love it, although if you're thinking of reading it, I have to warn you that it reeks of violence and very few of the characters get out alive. But I digress. The book, Butcher's Moon, contains a new foreword by Lawrence Block, who was both friend and colleague to Westlake. Block describes Westlake telling him he was writing what he called "narrative push." He sort of got the ball rolling to see where it would take him. Nowadays we call that SOP (seat of the pants) plotting. As further explanation, Block quotes Theodore Sturgeon, who said that if the writer doesn't know what's going to happen next, the reader certainly can't. Since I've written four novels using this technique, I applauded Sturgeon--whoever he was--and decided to look further. Although Wikipedia isn't always accurate, it's generally fun. And Wikipedia told me that Theodore Sturgeon was a prolific science-fiction writer, including Star Trek episodes, as well as ghost-writing one of the best Ellery Queen mysteries. From there, it took me to Sturgeon's Law, which essentially says that "90% of science fiction is crud--but, then again, 90% of everything is crud." Is there a moral to this story? I think so. I learned that my writing method isn't "SOP," it's "narrative push." I discovered that Theodore Sturgeon came up with the Vulcan hand sign popularized on Star Trek. And I realized that it's possible to get way off track when doing online research. But it's sure fun. 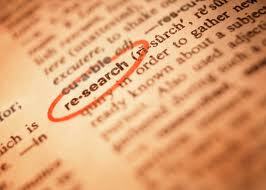 Have you had any similar experiences of wandering away when doing research? Want to share? This is the week for the meeting of the Board of the American Christian Fiction Writers. This is my second year as Vice-President of the organization, and I must say that I've learned a lot. Unfortunately, just about the time we think things are running smoothly, our ship turns into the Titanic, and we're off again, bailing with one hand and wrestling the tiller with the other. I've been on a number of Boards. During my years in medicine, I served as President or Vice-President of each of our major professional specialty organizations. I've been Chairman of Deacons at a church. And wherever I've had the opportunity to serve in this capacity, I've come to believe in the truth of the old adage: A camel is a horse put together by a committee. Decisions are tough, and agreement is hard to come by. Now, I'm writing this before our Board meeting, so I have no axe to grind (yet). But I can assure you that there will be some spirited discussion before decisions are made. And that's not necessarily bad. The only way for an organization to move forward is to consider all the options, some of which are so far out of the box that the lid won't close, then choose what appears to be the right one and don't look back. And I hope that our organization--make that any organization--will never be guilty of being bound up by the complaint no CEO, President, or other person charged with leadership ever wants to hear: "But we've always done it that way." 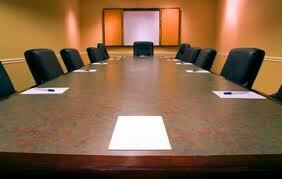 Have you ever considered that you're actually the Chairman of the Board for your life? Do you just react to circumstances, or do you think about your actions and make careful decisions (some of them outside the box)? I'd like to know. There are a lot of misconceptions about the publishing industry. New authors publishing their first book usually have an idea of how things "should" work, but these are ideas that typically are rooted in how the publishing industry used to work, or are based upon things they may have read online that just aren't true. With that in mind, I thought I would address the Top 10 things new authors should know about the publishing industry, and explain how things really work. Hopefully, this will save you a lot of time, effort and frustration. 1. Books are not automatically stocked by bookstores. In 2010, more than 3 million ISBN numbers were assigned. That means three million different book titles. The average large bookstore stocks about 110,000 titles. Not every title that is released is going to be stocked by a bookstore. 2. Publishers don't control which books get stocked in bookstores. Bookstores decide for themselves which books they will stock. The publisher can't make them stock anything. Publishers submit titles, make them available for distribution and in some cases pay for shelf space, but they do not decide which titles you see in a bookstore. 3. Most books are not sold in bookstores. Bookstores sell a lot of books, but most books are sold online or through retailers other than traditional bookstores. 4. If your book doesn't have an ISBN or distribution, it's not going to get sold through a bookstore. If you are looking for wide availability for your book, it has got to have the kind of distribution publishers can provide. There are some titles that are the exception, but that is just what they are: rare exceptions. 5. Ebooks are not replacing printed books…yet. According to the last figures I saw, ebooks were about 12 percent of the book market. 6. Pricing your ebook at 99 cents doesn't mean you'll sell a million copies. These gimmicky sales strategies work a handful of times. By the time you have heard about it, it has been done and everyone else has gotten the same idea. Only eight authors have sold more than a million copies for the Kindle on Amazon. That's right. Eight. 7. Low book prices don't necessarily translate to higher sales. This past weekend I shopped at a bookstore that was going out of business. Every book on the shelf was one dollar. There were still many books on the shelf that had not sold, not even for a dollar. If a book is too cheap, many readers wonder "what's wrong with it?" 8. For the most part, selling books is a slow process. Many authors expect to sell thousands of books the moment they reach their book's release date. If nobody knows about your or your book before the release date, they aren't going to know on the release date, either. It takes time to build your reputation as an author, and sales. I bought a business book at the $1 sale I mentioned earlier, and after reading it I thought, "this is a pretty good book." I checked the sales ranking on Amazon: it was ranked in the 1 million-plus range, meaning it's not moving many copies through Amazon, if any. 9. The average book title in the U.S. sells about 200 copies. More than 651 million books were sold in the U.S. in 2011, according to Nielsen bookscan. If the 2010 numbers hold up and about 3 million titles were released, that means the average book title sold about 217 copies last year. The number could be lower, because that 3 million titles figure is only taking into account new titles being released, not titles that were released in previous years that sold in 2011. A book by a new unknown author is generally considered a success if it sells 5,000 or more copies, UNLESS it's a book released by a celebrity of some kind, then those numbers would be considered dismal. 10. There is no magic formula for selling books. I often hear from authors who ask me to tell them how to quickly sell thousands and thousands of books, or make their book a bestseller. Here is the secret: write good books, target your niche audience, and work really, really hard to make you and your book known. You'll sell books, but there is no guarantee you'll become a bestselling author. Of course, I have covered a lot of this information before in previous blog posts, but I thought it would be helpful to compile a Cliff's Notes version here that would address some common misconceptions. You can have success as an author even if your book isn't in every bookstore in the country, or you aren't featured on a national TV or radio show. The publisher I work for recently had a title on the NY Times Bestseller list for non-fiction, but I work with authors who have sold many more copies than that title has, although they have been at it for a longer period of time. Remember, patience and persistence win the day! Thanks, Terry for letting me share this information. I found it fascinating (and, as a published author, a bit disturbing). What did Terry say that surprised you? 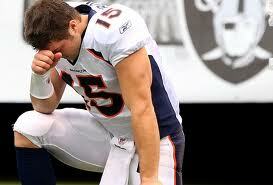 One highly talented professional athlete has caused the introduction of a new term this year: Tebowing. According to the "official site" for this phenomenon, to Tebow is to get down on a knee and start praying, even if everyone else around you is doing something completely different. There's no question that Tim Tebow is an accomplished athlete. As I write this, he and his Denver Broncos teammates are preparing to play David to the Goliath of the New England Patriots this weekend. I've watched a few of the Broncos games, and although he has some maturing to do, there's no question that Tebow has the potential to be a standout quarterback. And I'm delighted that he feels comfortable with a public display that underscores his thanks to God for his talent and the opportunity to use it. As memory serves, other professional athletes have done the same. Even before Tebow hit the spotlight, I was delighted to hear after-game interviews in which players mentioned "being blessed" with talent, and thanking God for what He's done for them. Seeing players from both teams kneeling in prayer at the 50 yard line after a game has gladdened my heart on more than one occasion. And the spectacle of football players joining in prayer when one of their number lies seriously injured on the field brings a lump to my throat every time I see it. I have no problem with any of that. So, here's my question. Is the publicity (or is it notoriety?) that Tebow's actions have brought about a good thing? 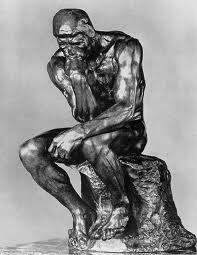 What's your opinion about Tebowing? I'd really like to know how you feel. Oh, and--with apologies to my friends in New England--go, Broncos. You've probably heard it before--it's an old joke. 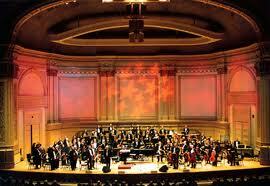 A tourist stops a young man on the streets of New York and asks, "How do you get to Carnegie Hall?" The young man shifts his violin case to the other hand, wipes his brow, and says, "Practice, practice, practice." It borders on the ridiculous, which is why it's funny, I guess. But the story is no more ridiculous than the question published authors get asked all the time. And the answer is pretty much the same. It's always interesting to talk with readers, whether in a group or singly. And after the usual questions--where do you get your ideas? how do you go about getting a publisher?--there's usually at least one person with a variation of this story. "I have an uncle/friend/golf partner who wants to write a book. What advice would you give them?" And I'll fall back on a variant of the Carnegie Hall story. Practice, practice, practice. Imagine sitting down and stringing together 60 or 70 or 80 or 100 thousand words. Tough? Yes. But that isn't enough. I minored in English in college. I've written or edited a number of medical textbooks and had more than 100 professional papers published. And when I started trying to write, I found that I knew almost nothing about writing fiction. The writer must learn to avoid passive voice, to keep point of view consistent, to constantly consider story arc, to maintain the interest of the reader through every scene, to avoid adjectives and adverbs in favor or strong verbs and nouns. And these are just a few of the "rules" of writing. And notice I said "learn." Not just read through and say, "that's nice," but learn, as in make them a part of what you do. And then comes the practice. When I decided to start back playing golf, I went to a pro, who reminded me that practice doesn't make perfect. Perfect practice makes perfect. Otherwise, you're just setting bad habits into your muscle memory. The same goes for writing. The writer has to submit his/her work for critique by someone who is expert enough to give good advice. Aunt Gertrude may love your work, and your children may think you're a whiz, but if they don't pick up your tendency to overuse the same word, to sprinkle commas too liberally through the work, and to craft one-dimensional characters, having them read your work isn't going to help you grow. I may come back to this theme as the year goes by, but my advice for as-yet-unpublished writers for the twelve months we have ahead of us is this: hook up with a good critique group, write, edit, write some more. Lather, rinse, repeat. In other words...practice, practice, practice. What one bit of advice would you give someone who wants to become a writer? If you're not a football fan or don't live in Dallas, you may not recognize this picture. 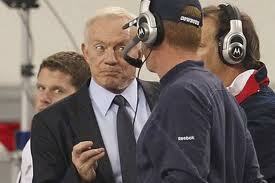 It's of Jerry Jones, owner of the Dallas Cowboys, having a "conversation" with his coach during a recent game. Personally, I (and most sports fans in the area) think he's just showing off his authority before a national TV audience. Of course, there's an old adage that there's no such thing as bad publicity. Which leads me to the subject for discussion today. There was a time when I had no idea what a blog was, and frankly, I didn’t care. I discovered the word was a contraction of “web log,” and apparently people were interested enough to read these and see what was going on with strangers connected to them only by a thin strand of fiberoptic cable. It wasn’t long before people began commenting on blogs, thanking the blogger, agreeing or disagreeing with the points they made, and in general turning what had been a monologue into a dialogue. Utilities like Disqus make commenting even easier and allow people to comment on comments. My blog is a Christian writer’s thoughts on writing and life in general. My readership is composed of both readers and writers, along with a few people who apparently don’t have anything better to do than to see what that crazy guy in North Texas has to say today. I get a notification when someone leaves a comment. The comments have been civil, appropriate, and I’ve tried to respond to most of them when I can. I enjoy the interchange. It's been fun. Occasionally, there'll be a spam-type comment left, but once I see it, it's easy enough to delete it. In summary, you guys are great. Keep it up. Unfortunately, some bloggers haven’t been as fortunate. Some of them moderate comments, to weed out objectionable ones. In those cases, a comment must be approved by the blogger before it makes in online. That requires more time and effort than most of us have to spare. One friend and fellow author has decided to close her blog to comments because she no longer has the time to moderate comments, and unmoderated ones had gotten out of hand. I miss the opportunity to dialogue with her, but still read her thoughts because they inspire me. Recently, I've noticed a few people who seem to want to make a career of leaving multiple comments, especially on blogs with a huge following. It could be that they are really into the subject. Then again, it might be because they feel a need to get their own name “out there,” and figure that commenting on a blog with thousands of followers is a good way to do that. Maybe that's not their motivation, but seeing one person post their own thoughts ten times out of ninety comments (as I saw a couple of days ago on a blog) is sort of suspect. And I wonder if their attempt to get name recognition, if that's what they're after, may not backfire on them. So, what's your take on blog comments? Do you leave them? Do you read the post but hesitate to put your own feelings out there for others to read? What do you think of people who seem to want to take over another person's blog by excessive comments? Please leave a comment. I promise I won’t fuss at you. It’s always nice to get emails from readers who enjoy my books. (This is one reason I make my email address easily available. If you haven’t noticed, there’s a clickable link at the top of the right-hand sidebar of this blog). Recently I’ve received a number of emails asking when my next book will be out. And that presents something of a problem. Because my next book contract is with a different publisher, there’ll be a hiatus of over a year between my most recent novel of medical suspense, Lethal Remedy, and my first novel from Thomas Nelson Company, working title Stress Test. I try to warn readers to keep watch for the book in the spring of 2013, but also want to recommend other books for them to read in the meantime. When you are asked to recommend a book or author, does that make you feel good, because the questioner respects your judgment? Or does it make you all tingly inside because they might not like your suggestion, and think less of you as a result? And for those of you who read this blog and like my books (and I hope that’s all of you), what books and authors would you suggest for readers who want to occupy themselves until my next one is out? I’m anxious to hear.